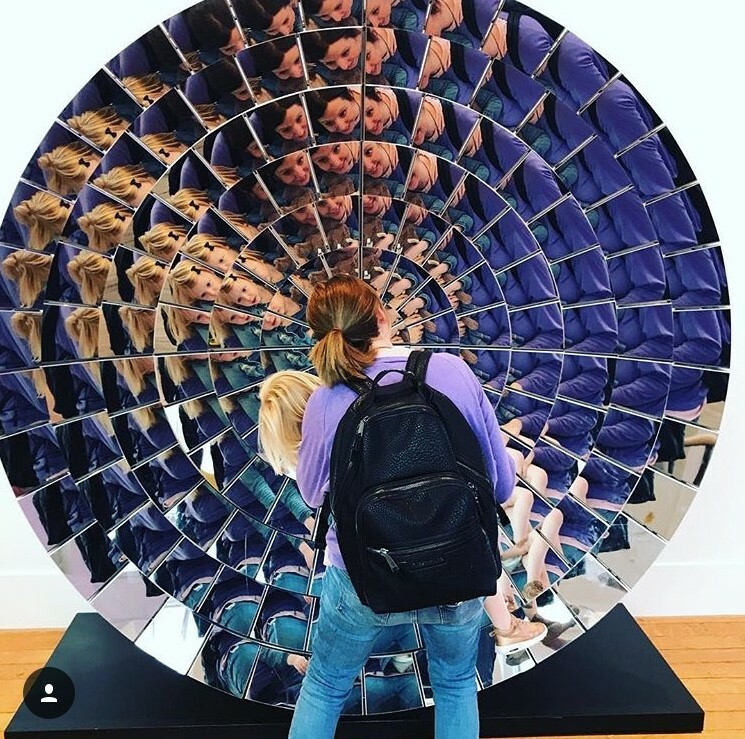 Sally is an avid museum goer and constantly inspires us with her instagram posts. She visits different museums each week and we particularly love her "museum purchase of the week" feature. Some of her finds really are quite something!! We think that anybody looking for fun and educational days out with children should follow Sally (aka. @milkatthemuseum) and be inspired by her adventures. We had no idea some of these museums existed and the exhibitions that we have got to know about through Sally have been incredible. We hope you enjoy finding out more about Sally and her love of museums. What inspired you to start up Milk at the Museum? I had worked for the Imperial War Museum for 10 years and when I had my two kids it turned out, due to childcare costs, I couldn’t go back. The days were long and I really needed something for myself. I had been on Instagram a while and it suddenly dawned on me its potential in getting information out there. I noticed there was not one place you could go to to find out all family friendly activities in Museums and that’s where it all began. Museums are a huge passion of mine and I have really enjoyed the Milk at the Museum journey so far. Why do you think it's important for people to visit museums with children? Not only are museums fun environments, they are educational too giving children an opportunity to learn outside of the school environment, with their family, as well as enjoying themselves. They are hugely influential in a childs upbringing as they get to experience history, art and culture in an interactive and engaging environment as well as hearing stories from all walks of life. Museums have totally stepped away from that dull dreary image they once had and are now so appealing for families. What do you consider to be the main benefits to children of enjoying museums? Museums encourage children to ask questions which in turn increases their knowledge on a vast range of subjects. Learning about history helps them to make sense of the current world they are in and as well as being inspiring Museums are also a fun day out creating memories that children will never forget. Have you always loved museums? I had very fond memories of the Science and Natural History museum as a child but it was slightly later in life where my love really grew. I went through a stage of loving the 40s Churchill era which encouraged me to apply for a job at the Churchill War Rooms. I initially started working alternate weekends there whilst working in media but it soon became my full time job and I never looked back. Being a tour guide at the Churchill War Rooms will always be the best job I have ever had. Which is the favourite museum you have visited and why? Ooo that’s a toughie, there are so many. Besides from the Churchill War Rooms, I would probably say the Science Museum. You could easily spend days in there, there are so many exciting exhibits and interactives for kids to get there hands on, and what kid (big kid) doesn’t love the idea of space! Which five museums would you recommend to parents and carers for them to visit with children? The London Transport Museum, it has the fantastic All Aboard Zone for 0-7’s where they can drive a taxi, serve soup from the Thames Nipper café and climb a mini bus. They also have lots of interactive exhibits and they can steer an actual bus. The Museum of Childhood is brilliant for kids with sandpits, rocking horses and retro toys aplenty. They also do storytelling and arts and crafts daily. 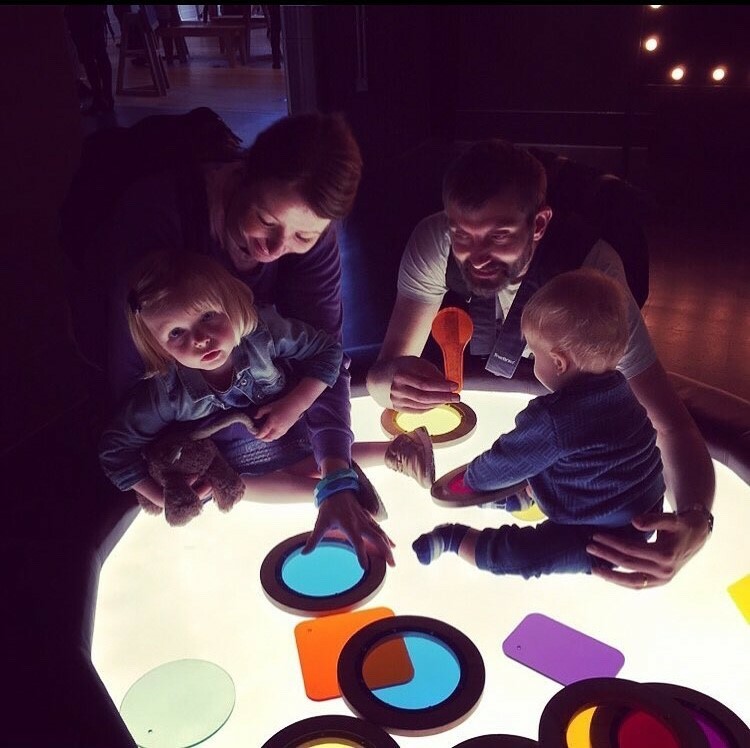 The Museum of London Docklands have the Mudlarks Gallery, an interactive space for children up to 8 years old as well as regular family friendly events. The Postal Museum who have recently opened. Their Mail Rail ride is fantastic, a miniature train which takes you under the streets of London. They also have Sorted! a play space for 0-8s and the museum which has plenty of interactive exhibits, dressing up and The Jolly Postman trail. Are there any museum related childrens books you would recommend to help children develop a love for museums? Maisie Goes to the Museum by Lucy Cousins is a good start for the younger kids and I also love the Welcome to the Museum book from the V&A where you basically create your own museum. You can change the collections, display a variety of objects and put on different exhibitions. Lots of stickers and press out pieces for the kids to play about with. The Tiger Who Came to Tea by Judith Kerr. A truly delightful story and one I never tire of reading to my children. If you could do anything for the day what would it be? Apart from sleep, I would love to go on a tour of the Natural History Museum with David Attenborough. If you could spend a day with one of the Prenderland Pals who would it be? Gabriel the Giraffe as I too have a thing for dancing and dinosaurs and he sounds fun to be around. Thank you so much to Sally for doing this interview and we hope you have enjoyed it as much as we have. If you'd like to follow Sally head over to her instagram page and say hello. As a fairly new mum (three and half years in and every day is still a school day!) it is becoming increasingly apparent to me that children are under incredible amounts of pressure from a very young age. Being completely honest I find it upsetting and wish that society would allow children to be children for as long as possible. Their innocence, natural creativity and fun-loving nature should be nurtured and encouraged. This post talks about the brillliant tools and resources that I have come across so far which I think are fantastic for helping us to protect children's mental health. Let's keep children's minds healthy, encourage them to develop a love for learning and a passion for life. History Heroes have developed wonderful card games which have all been devised as a tool for everyone to have fun together in the pursuit of knowledge and history. They aim to provide entertainment and learning along with a little glue of competition to help all the facts and history stick. Topics include Inventors, Women in HIstory, Explorers, Kings & Queens. As we are incredibly passiionate about showing children that learning can be fun, we absolutely love these games and were over the moon when owner Alexandra Ehrmann agreed to this interview. We really hope you enjoy reading it and that it inspires you to learn and help children learn too. We were delighed when we were asked to review Vivi The Spanish SuperDog by, fellow #SBS Winner, Genevieve Yusuf of Jajaja Books. This is a very clever book written in English with Spanish woven into the story and is a great way for children to learn languages. Louise Simpson is an incredibly talented artist and writer and has recently published her first children's book. We were delighted when Louise agreed to tell us more about her beautiful new book and her exciting plans for the future. Amanda founded Books and Pieces after she spotted a gap in the market for low price books with a personalised service. As she is a lover of books and a bit of a bargain hunter, she has been able to combine two of her assions in Books and Pieces. Amanda is a wonderful mum to three bubbly boys and is truly one of the nicest people you could ever wish to meet. We think you will really enjoy finding out more about her and her fabulous business. We were over the moon when Laura, founder of Edible Explorers, agreed to help us with this blog post. Throughout 2018 we want to bring our Fun with Books ideas alive , so that you can really see how much fun can be had with books in lots of different ways. To start us off we have, "Let's Bake!" We discovered The Little Reading Club through Instagram and were delighted when Catherine agreed to talk to us about why she set it up and what she hopes it will achieve. Enjoying books and reading is such an important part of a child's development ,so we are huge fans of all initiatives which aim to inspire children to read and have more fun with books. We want to do whatever we can to support businesses like The Little Reading Club in the hope that they will inspire parents, carers and children to read. Many, if not all of you, with children over the age of two may often find yourself saying to them, "stop telling tales!". As I started to think about National Storytelling Week and what I could share with you all to help you have even more fun at storytime, it dawned on me that I need to turn the tale telling on its head. Instead of telling Rosie to "stop telling tales", I should encourage her to tell tales. So, I have put together some ideas that you could use for storytime duirng National Storytelling Week and beyond, including, "Tell Tales"
Interview with Suzanne Hemming - Author of Award Winning Book "She's Not Good for a Girl, She's Just Good!" Suzanne Hemming was a stay at home mum to her daughter, Thea, when she put pen to paper, and began to write rhyming children’s stories. Reading to Thea is something Suzanne and her husband, Richard, have done since since Thea was tiny, but she (Suzanne not Thea!) was becoming increasingly fed up of books about pink princesses, who waited for the prince to whisk them away. In searching for inspiring and empowering books for girls, and (with the exception of a few amazing authors) after discovering there are limited choices, she decided to start writing. The idea to self-publish one of her stories, and set up a publishing company, led to Thea Chops Books, and the start of a new career as author and publisher. We are huge fans of her first book "She's Not Good For a Girl, She's Just Good!" so were delighted when she agreed to do an interview with us so that we could find out ore about her and Thea Chops Books. The highly anticipted shortlist for the Blue Peter Book Awards 2018 has been announced, with fiction favourites flaunting strong female leads. Wizards, warriors, wabbits, weird worlds, long forgotten leper colonies and creepy things that go bump in the night take the top spots in the 2018 Blue Peter Book Awards shortlisted titles, fighting for a chance to win one of two prestigious awards: Best Story and Best Book with Facts. We were delighted when we were asked to review Daddy Do My Hair? Beth's Twists by Tola Okogwu. Interview with Dr Niamh - Author of "Find My Name In The Alphabet Train"
Dr Niamh is a children’s books’ author with a PHD in Learning Through The Imagination. She spent 30 years working as a psychotherapist ~ work which took her to live and work in the Horn of Africa for 10 years, during the war-torn nineteen-nineties for Oxfam, UNICEF and World Food Programme. She now dedicates herself to being a Nana and writing and developing personalised children’s books. We were over the moon when she agreed to tell us more about her latest book "Find My Name In The Alphabet Train". We are very proud to be on the Books & Pieces Parent Panel. The Paper Dolls by Julia Donaldson is one of the books which they have kindly sent us to review. When we found out about Toy Box Tots we just knew we had to share it with you. Toy boxes to rent all based around children's books. Such a wonderful idea! We really hope you enjoy finding out about this wonderful new business. Many of you will know Theo Paphitis from his Dragons' Den fame. You will probably also know that he is an incredibly successful businessman and in 2015 launched the "Theo Paphitis Retail Group". This Group encompasses Ryman Stationery, Robert Dyas and Boux Avenue. . The sportsfans among you may also know that Theo’s passion for sport, led him to having eight marvellous years as Chairman of Millwall Football Club, achieving promotion to the Championship and the FA Cup Final against Manchester United as well as qualifying for Europe. What you may not know about Theo is that he left school at the age of 16 with no qualifications, due to his dyslexia. Theo is incredibly supportive of other people and is passionate about raising awareness of dyslexia. He therefore kindly agreed to do this interview with us and we really think you're going to love his answers. "Back to school" has been a big theme all over the country for the past couple of weeks. We hope it has gone really well for you all. We have been lucky enough to interview Deputy Headteacher, Mr Allen, to find out why he loves being a teacher and why he thinks reading is such an important part of a child's development.